On his great blog Thad made, in the past, some posts about "cartoon plagiarism". Thought this short could perfectly be included in that series, so I apologise in advance for stealing his clever idea and making this post. The cartoon in question is "Sour Grapes", with more than an inspiration from Tashlin's "The Fox and Grapes". 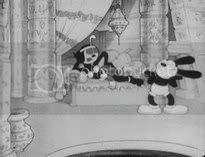 Not only the plot is incredibly similar, but the short also follows the same spot-gag structure showing the Fox (brilliantly animated by Tyer) trying to get the grapes. However, the title itself reveals from the beginning the final punchline. 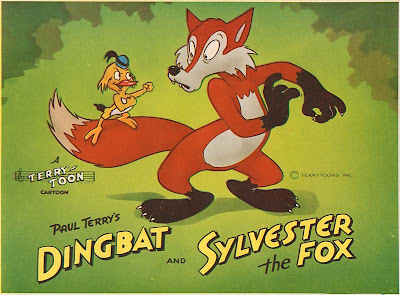 Hmm...probably the name change was due to them worrying that the fox might be *too* similar to WB's Sylvester - the lisp sorta gives it away (as does the title :P). Mind you, they weren't very inventive on cartoon titles neither.